Sure, candy is somewhat of a cliché for Valentine’s Day, but it’s so delicious. The right candy puts a smile on anyone’s face. Hopsy from Monograms and Manicures and I share our love of the new and improved JCPenney department store and the wonderful brands and customer service they provide. During the Christmas shopping season, I was thrilled to see a pop up shop for Dylan’s Candy Bar at JCP. Quite a few of my peeps received sweet treats from Dylan’s Candy Bar. Today, I discovered that the candy is marked down to incredible prices and had to stock up on gifts and candy for some of my valentines. Whirly Pops are on sale for $1! I bought some to add as toppers on wrapped gifts. It’s a wonderful finishing touch. 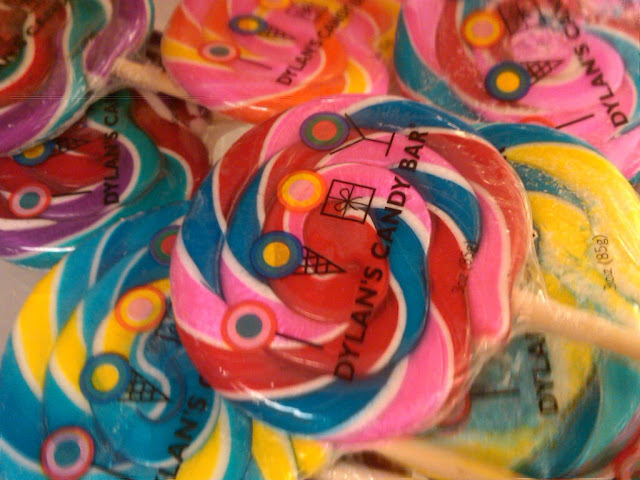 The same lollipops are “on sale” for $2.50 right now on the Dylan’s Candy Bar website. JCP has such a great deal. 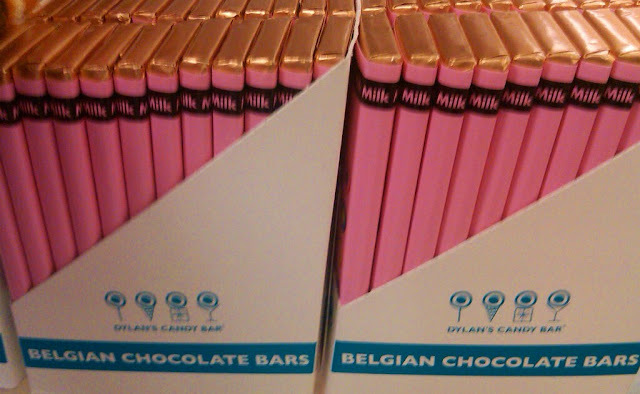 Dylan's Candy Bar Signature Belgian Chocolate Bars currently cost only $1, down from an original price of $2.95. Depending on where you buy your candy, an ordinary candy bar at the drugstore can cost more than a dollar! The JCP I visited had Dark Chocolate, Milk Chocolate, Cookies and Cream and Milk Toffee Crunch. Such a perfect option for gifts, party favors, or special treats. The pink and blue wrappers are particularly adorable for a baby shower. Let me know what you find at your local JCP. I've never actually eater a whirly pop - but they are so cute and would be fun to give as valentines! $1 lollypops? I'm there! Thanks so much! JCP is seriously just the best! Emailing you a photo of the dress now and I will also be stopping in for some Dylan's this weekend; thank you for the tip! I saw these at our Jcp at christams time- how fun and cute!